Weighing in at eight pounds, three ounces, baby Dominik showed good timing in beating all comers for the title. B.C. 's New Year's baby for 2019 beat other newborns to the title by being born one minute after midnight at Royal Columbian Hospital in New Westminster. The eight pound, three ounce boy named Dominik arrived via caesarean section and was presented at a media conference alongside mom Janet Shimizu and dad Lukaz Soswa later the same day. All three appear to be doing fine. Shimizu says she thought Dominik would arrive on Dec. 31, but her labour stopped and doctors decided that it would be best for her to have a c-section. "We're feeling very tired but we're feeling very, very good," she said. 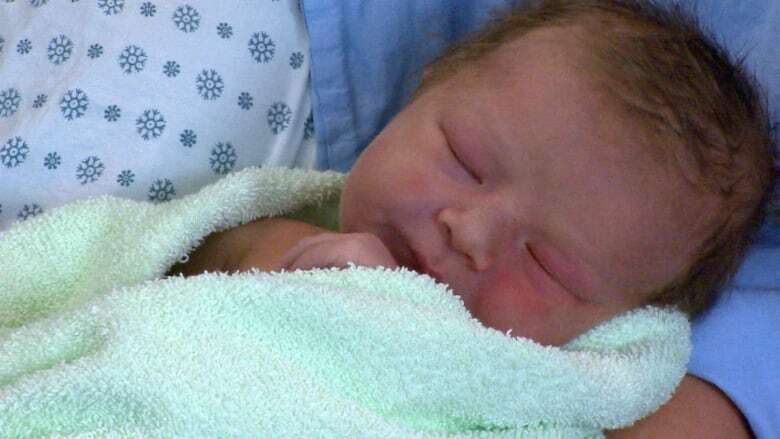 This is the Coquitlam couple's first baby. "My partner wants him to be a surgeon," she said, with a laugh, adding that Soswa is an orthopedic surgeon out of Langley. Interior Health tweeted a photo of its New Year's baby — a boy named Hugo — who was born at Kelowna General Hospital at 1:58 a.m. PT., while Northern Health said the first baby of 2019 in its jurisdiction was also a boy born in Smithers. The New Year's baby is the first of the approximately 42,000 that are expected to be born in the province this year. UNICEF has estimated that 999 babies would be born in Canada on Jan. 1, 2019.